Paramedical Exam 2019: The exam for the admission to Paramedical courses is held every year. The candidates who are planning on pursuing their career in the offered course will be required to fill up the Application Form and submit it before the due date. The Health Education and Research Council of India provide affiliation to the Institutes granting them permission to offer these courses to the candidates who are eligible to appear for the entrance exam of Paramedical courses. The Institutes offering the Paramedical courses also releases the Information Brochure along with the Application Form. Candidates who will be applying for the exam are advised that they must go through the details mentioned in the Brochure very carefully. It will provide the steps of the Admission procedure and the basic eligibility to apply for the exam of the Paramedical course. The number of states and individual institutes also provides admission to the Paramedical courses. Candidates are required to apply for it individually. For more of the details of Paramedical exam 2019 go through the article from below. 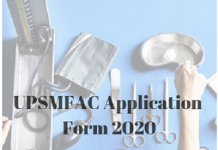 Latest: Karnataka Nursing and Paramedical authority released the Application Form to Open the New Para Medical College, Additional Course, Enhancement of Seat and change of Address from all over Karnataka during the academic year 2019-2020. The last date for the submission was extended till 9th April 2019. New: Para Medical Board, Bangalore released the Theory Time-Table for Supplementary examination. The exam started from 22nd February 2019 till 1st March 2019. Click Here for the Supplementary Exam Time Table. Karnataka Nursing and Paramedical Regulating Authority have released the details of the Supplementary Examination for the First, Second and the Final Year. The exam will be held in the Month of February 2019 and the date will be announced soon. The Authority has announced the revised dates for the submission of the Application Form. Click Here for the Details. Applicants applying for the Paramedical courses will be required to go through the eligibility criteria as per the course for which they will be applying for the admission. It must be noted that the eligibility for each course will vary as per the requirement and the syllabus which will be pursued by the candidate during the tenure of the programme. The eligibility for each course will be mentioned in the Information Brochure released along with the Application Form of Paramedical course. Candidates who will not abide by the mentioned eligibility criteria will not be allowed to proceed with the Application Form further. They must pursue the Application Form only after making sure that they fulfil the eligibility criteria of the applied course. The Application Form for Paramedical exam is released by the examination conducting body the Institutes which is offering the admission to the course. It is a preliminary and important part of the Application Procedure. Candidates who will not be able to submit the Application will not be able to appear for the entrance exam for the admission to Paramedical course. The Application Form will consist of the relevant sections which need to fill by the candidate. Each section must be provided with information and no section must be left without any detail. The incomplete applications will not be accepted by the authorities of the examination conducting body. The Information Brochure released along with the Application Form must be read very carefully by the candidate. Before proceeding for the application, the candidate must also make sure that they fulfil the prescribed eligibility criteria as mentioned in the Information Brochure. The detail provided in the Application Form will be the Personal Details, Contact Details, Academic Information and the will have to upload the Photograph and the signature as per the specifications provided in the Information Brochure released by the authorities of the examination conducting body. It must be noted that the details provided must be valid and correct as any form of misleading information will prohibit the candidate from appearing for the examination and will lead to the cancellation of the candidature at the time of the final admission. The submission of the application will only after the payment of the Application fee, the amount as per the course will be provided in the Information Brochure released by the authorities. Candidates are advised that they must keep visiting the website so as not to miss any of the important events of the Application Form. The Admit Card of Paramedical exam 2019 will be available in an online mode on the official website of the Institute offering the course. It is an important document which must be presented by the candidate on the day of the examination. The absence of the Admit Card will prohibit the candidate from giving the test or enter the examination hall. The Admit card provides relevant details which are important for the candidates who will be appearing for the exam. It must be noted that the admit card will be available only for the candidates who have submitted the Application Form successfully. The link of the document will be available as per on the scheduled date as announced in the admission schedule of Paramedical exam. Applicants will have to provide the credentials which are valid and correct, the admit card will not be available for the download with the incorrect information. Once the Admit Card of Paramedical exam will be available, the candidate must go through the details mentioned thoroughly. The details provided on the Admit Card will be the Name of the Candidate, Application Number, Roll Number, Date of the exam, timing of the exam, centre allotted to the candidate and the important instructions to be followed by the candidate on the day of the examination as prescribed by the authorities of the examination conducting institute. While reviewing the details on the Admit Card, in case any of the information is found to be invalid and incorrect, the candidate will have to contact and report the authorities of the Institute immediately. The helpline number will be provided on the official website of the Institute conducting and offering the admission to Paramedical course. The Result of Paramedical exam will be released in an online mode on the official website. Candidates who appeared for the exam will be eligible to download the result and must check if they are eligible to proceed with the admission procedure further or not. The candidates who appeared for the exam are required to qualify the exam. The examination conducting body will also be releasing the Merit List which will provide the names of the candidates who are selected to proceed with the admission schedule and must attend the counselling round held at the allotted centre to the candidate. The link to download and check the result will be provided as per on the scheduled date as announced in the officially released schedule of the entrance examination of Paramedical Courses. It is important that the candidates must provide the valid credentials in the login section of the Result and any form of wrong detail will prohibit the candidate from downloading the Result of Paramedical exam. The Result PDF will be downloaded in the prescribed steps which will be provided in the Information Brochure released along with the Application Form of Paramedical exam. It is advised that the candidates must go through the details mentioned on the Result PDF very carefully and in case if any form of error is found in the Result such as in the Name of the candidate, Application number or the course name, the candidate will have to contact the examination conducting body immediately. It is important to get the error checked before the counselling procedure starts. The wrong detail will prohibit the candidate from proceeding and attending the counselling procedure further. It is advised to get multiple copies of the Result of Paramedical Exam as it will be required to be presented on the day of the examination. The counselling round for the final seat allotment will be held after the declaration of the Result of Paramedical Exam 2019. It is important and the final steps of the admission procedure. Candidates who appeared for the entrance test and qualified it will be eligible to attend the counselling round for the final admission to Paramedical course. The schedule of the counselling round will be released by the examination conducting body on the official website hence it is advised that the candidates must keep visiting the website on a regular basis as the schedule will be released as soon as the result is declared by the authorities. For the counselling, the candidate will have to register themselves first and must provide the preferred college and the course which they want to pursue further. The registration must be done successfully by the candidate and the basic information provided must be valid and correct. The rounds of the counselling will be held as per the schedule as provided in the date sheet. Candidate will be provided with an allotted centre for the document verification procedure and it will be important to report at the centre. The documents will have to be presented as asked. The list of the important documents will be provided in the official notification released regarding the counselling round. It must be noted that the admission of the candidates will only be on the basis of the counselling and there is no provision of the direct admission to the applied course. It is important that the candidate is physically present on the day of the counselling round. Candidates who will not be able to make their presence will not be allowed for the admission further. 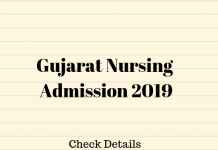 It is also important that the candidate must also pay the admission fee on the day of the counselling for the final admission and seat allotment.